FREE messaging app available for iPhone and other smartphones. WhatsApp uses your phone's Internet connection (4G/3G/2G/EDGE or Wi-Fi, as available) to let you message and call friends and family. Switch from SMS to WhatsApp to send and receive messages, calls, photos, videos, and Voice Messages. 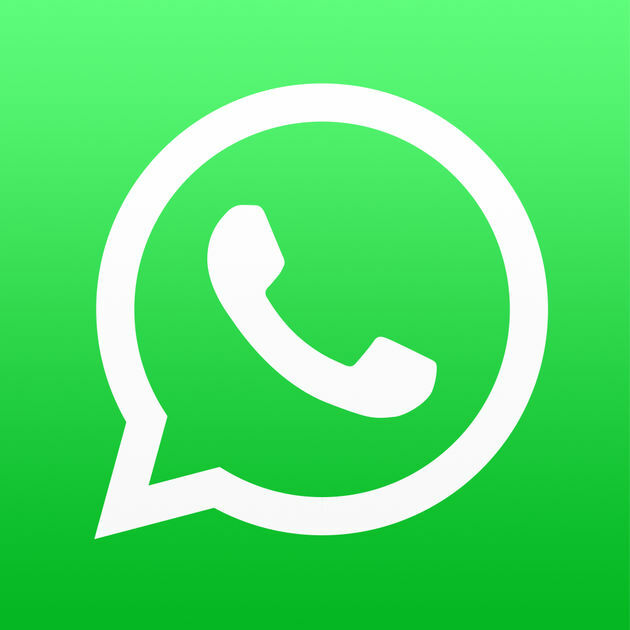 â€¢ NO FEES: WhatsApp uses your phone's Internet connection (4G/3G/2G/EDGE or Wi-Fi, as available) to let you message and call friends and family, so you don't have to pay for every message or call. * There are no subscription fees to use WhatsApp. â€¢ MULTIMEDIA: Send and receive photos, videos, and Voice Messages. â€¢ FREE CALLS: Call your friends and family for free with WhatsApp Calling, even if they're in another country. * WhatsApp calls use your phone's Internet connection rather than your cellular plan's voice minutes. (Note: Data charges may apply. Contact your provider for details. Also, you can't access 911 and other emergency service numbers through WhatsApp). â€¢ GROUP CHAT: Enjoy group chats with your contacts so you can easily stay in touch with your friends or family. â€¢ WHATSAPP WEB: You can also send and receive WhatsApp messages right from your computer's browser. â€¢ SAY NO TO USERNAMES AND PINS: Why bother having to remember yet another username or PIN? WhatsApp works with your phone number, just like SMS, and integrates seamlessly with your phone's existing address book. â€¢ ALWAYS LOGGED IN: With WhatsApp, you're always logged in so you don't miss messages. No more confusion about whether you're logged in or logged out. â€¢ QUICKLY CONNECT WITH YOUR CONTACTS: Your address book is used to quickly and easily connect you with your contacts who have WhatsApp so there's no need to add hard-to-remember usernames. â€¢ OFFLINE MESSAGES: Even if you miss your notifications or turn off your phone, WhatsApp will save your recent messages until the next time you use the app. â€¢ AND MUCH MORE: Share your location, exchange contacts, set custom wallpapers and notification sounds, email chat history, broadcast messages to multiple contacts at once, and more! Note:Â You will only be able to download this public beta app from your mobile device.